Lots of empty water through here, but there was a kelp paddy that kicked out a couple of yellowfin this morning. The bite is a little more miss than hit this morning, and the south wind conditions surely aren’t helping things. On top of that, some of the better yellowfin scores are now coming from a little farther south between the Upper Hidden Bank and 475 Knuckle. 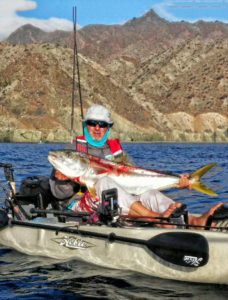 As the early 2017 season has gotten underway, all the operations at the Island are reporting not only some of the best yellowtail (up to 34-pounds) in the past three years on yo-yo iron and dropper loop mackerel, but the fishing has been further enhanced by a consistent calico bass bite on plastics and flat-fall style jigs in 20- to 40-feet of water. 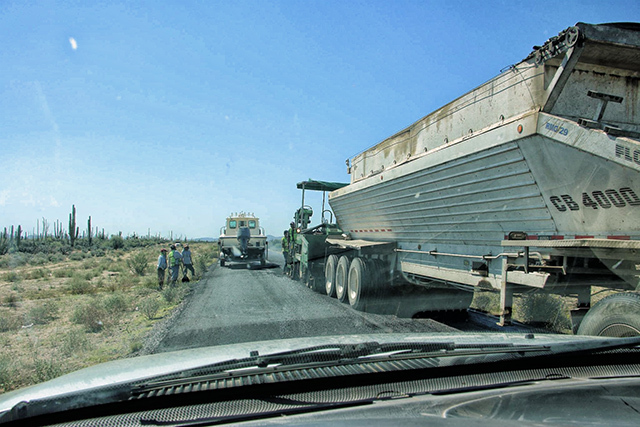 Good news for Baja travelers: They are repaving the bad section of road a few miles south of the Bahia de los Angeles turn off. 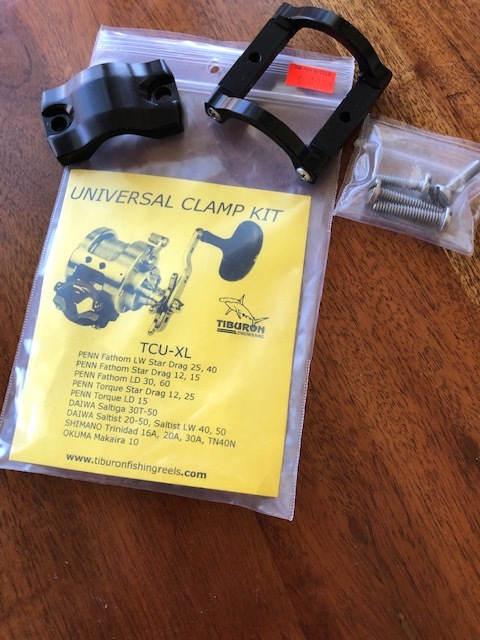 We hope they do more as the road from Catavina to the turn off is in so-so shape; we traveled it without a problem BUT it could use a helping hand. Back in the States after another road trip w/ kayaks to Asunción. We stayed at Shari’s /Juan’s, La Bufadora Inn, as our home base as we fished north and south. Once again, Shari made our trip memorable with great intel and incredible accommodations! Breakfast, plus coffee was always on the table as we got ready for the day; lunch was always packed and margarita/sashimi was ready after a long day fishing. 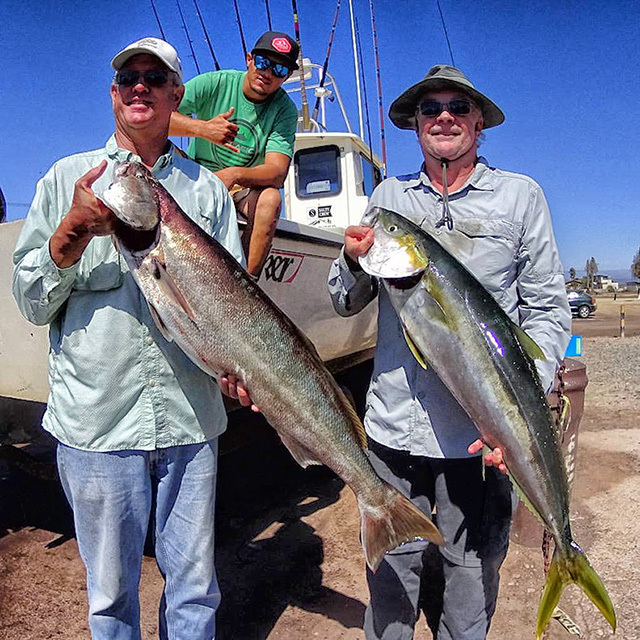 Yellowtail fishing was excellent on the tidal swings in about 80- to 100-feet of water on the yo-yo. 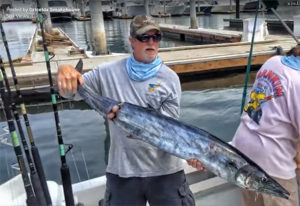 Blue/white appeared to be what they were looking for as 20- to 40-pound fish crashed them with a vengeance. The hot weather returned and brought back some of our afternoon southern winds. Temperatures back in the mid-90s with wind to 15 knots returning some afternoons. 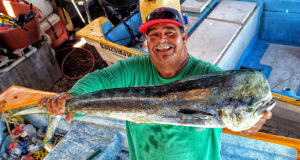 Fishing has been consistent most of the week with most boats heading out to the Punta Lobo and “50” Spot. 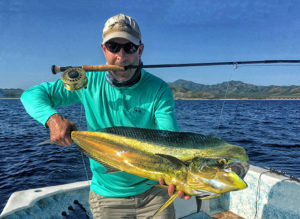 Some dorado are hitting feathers in the same general area but most of the action is on bottom dwellers. and pargo continue to hit trolled hard bait. Water is “fantastic” (so the divers exclaim) but I could do with a fillet or two! Great day on the water … triple hookup on WAHOO! This is three of a total of five caught on board the MARLIN MAGIC! 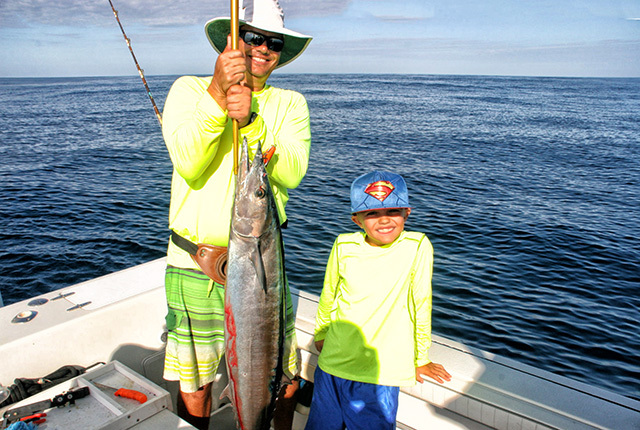 Congrats to anglers Joey Kris, Wyatt & Eli Kris! !— Van Wormer Resorts. 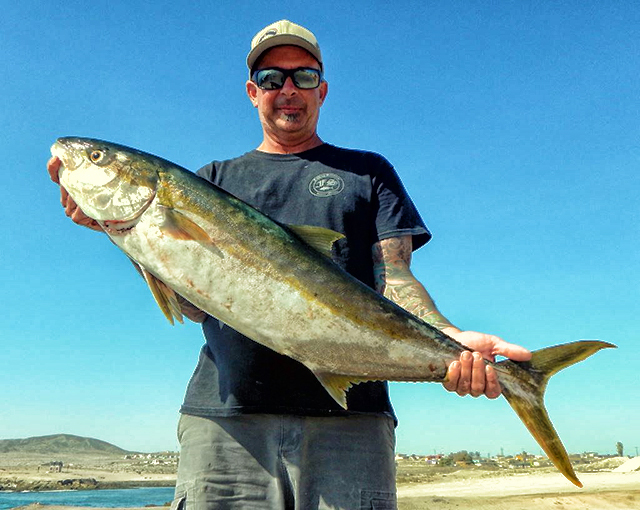 growing numbers of tourists and visiting anglers arriving in Los Cabos, as the fall tournament season is just beginning and it will soon be crazy busy. 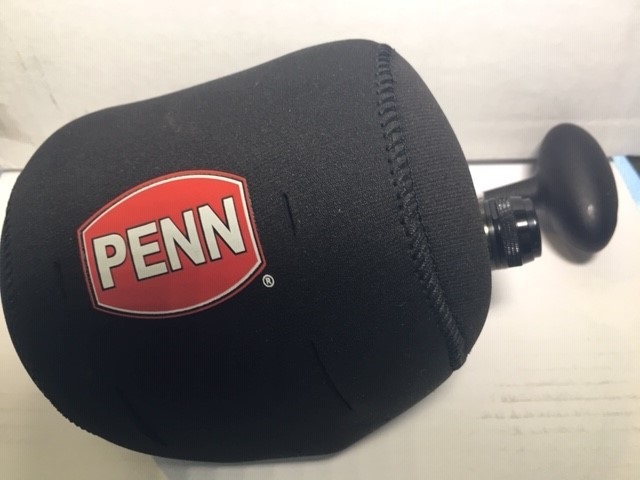 Water: 82 to 85-degree range. 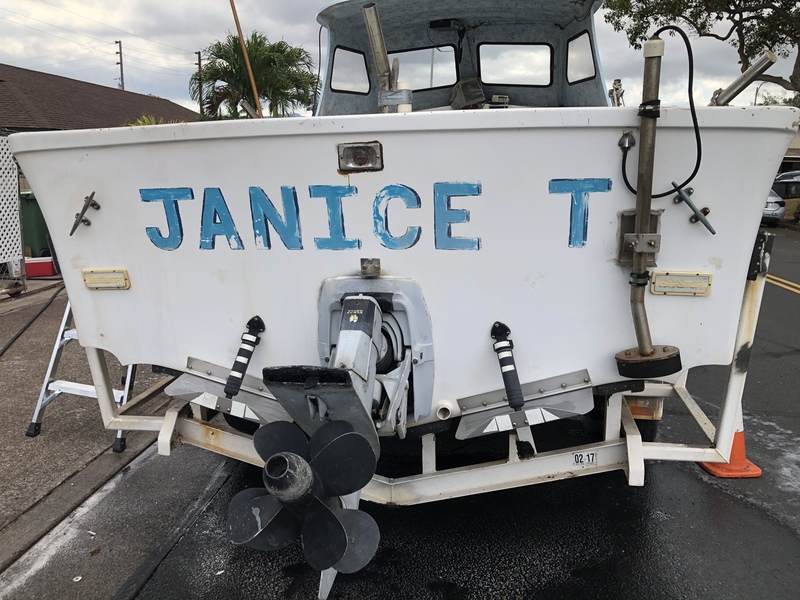 The majority of the fleets based out of Puerto Los Cabos Marina are now fishing the grounds from the Gordo Banks to Iman, San Luis and Vinorama. 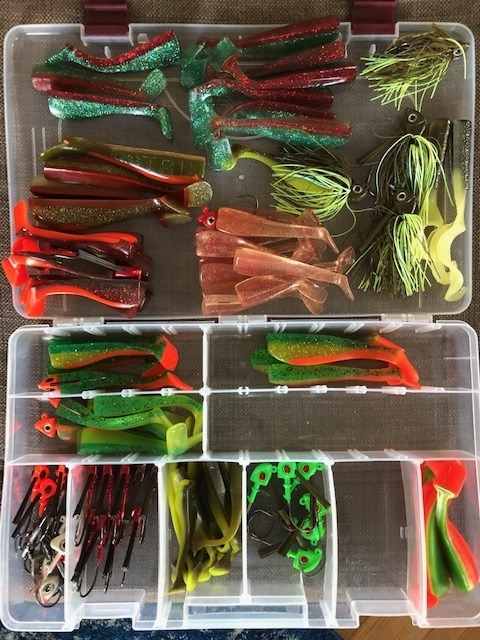 Bait options remain sardina, caballito and slabs of squid. 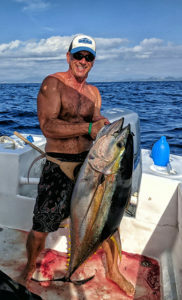 Best fishing recently was for yellowfin tuna, drift fishing with various bait was the main technique and average size yellowfin was in the 6- to 15-pound class, though these same grounds have produced larger tuna in the 30- to 100-pound range. 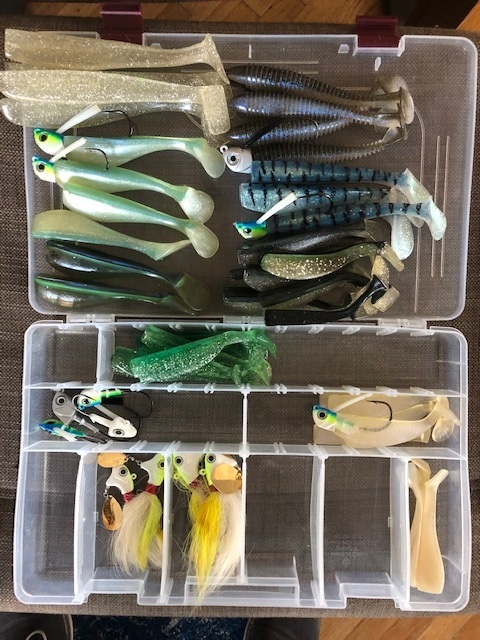 No big numbers of the larger grade tuna, just a few mixed in with the smaller fish, though there is definitely a chance at hooking into a bigger fish. 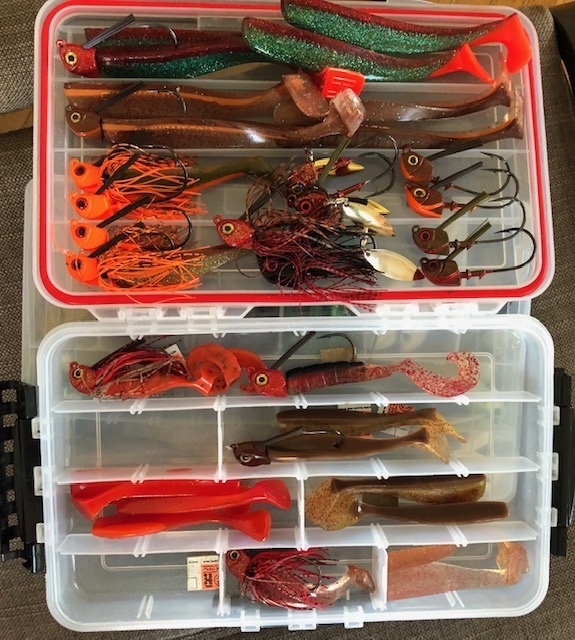 All around the numbers of fish caught increased recently. 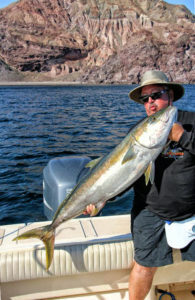 Dorado continued to be scarce, most fish were under 10-pounds with only an occasional larger one in the mix. 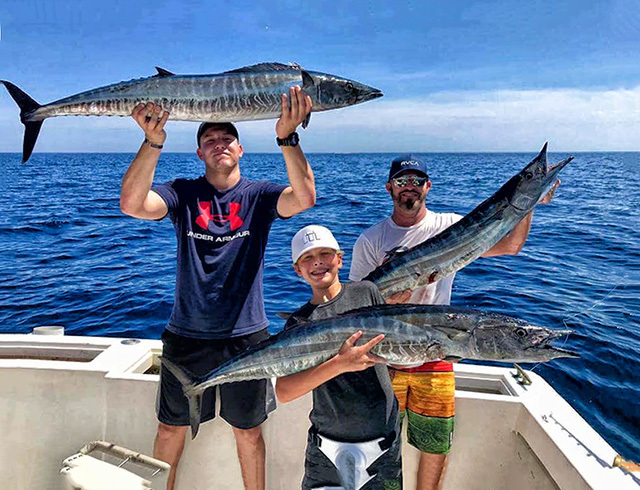 A few more wahoo are starting to be seen, most of these are coming from the San Luis Bank area and are striking on Rapalas. 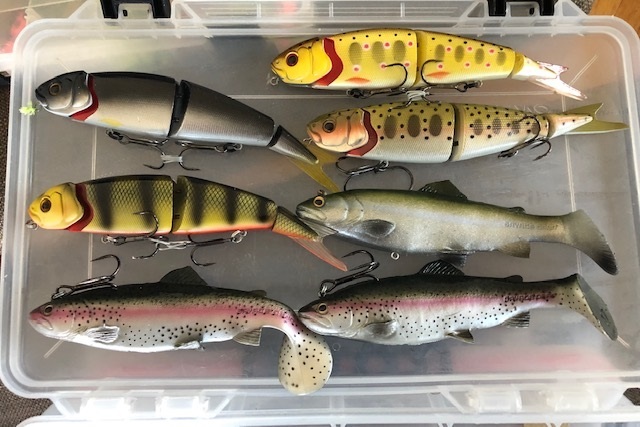 Sizes ranged from 20 to 35-pounds. 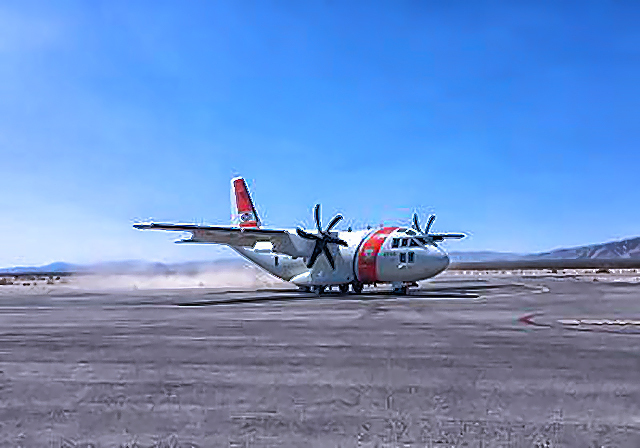 Cabo Climate: It has been mostly a partly cloudy week with daytime temps averaging 88.5 degrees and nights at 77.7. The humidity ratio is up a bit and averaged 70% for the week. Sea Conditions: Water temps from the Finger Bank and southerly to the Jaime Bank were all at the 82.5- to 84.5-degree averages. Cabo Falso and southerly to the 1000 fathom curve and then north easterly to Los Frailes was all in the 84.5- to 85.5-degree range. Sea surface breezes flowing in mostly from the westerly and south westerly directions averaged 10.1 mph and all was fishable. 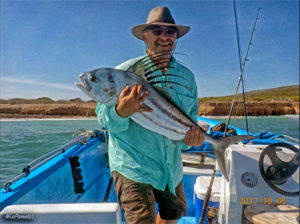 Best Fishing Area: The Herradura and Pozo de Cota produced the two blue marlin but El Faro, (aka Cabo Falso) was a busy catch area, too. 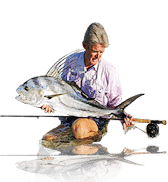 Best Bait-Lures: The blue marlin bit best on the artificials but the stripers bit best on rigged bait. 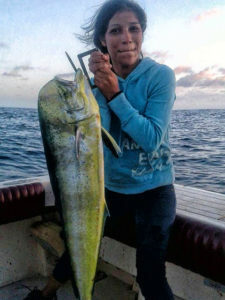 Dorado and yellowfin tuna bit best on a variety of different colored tuna feathers and diving type lures.